Old Bird Scarer c1900. 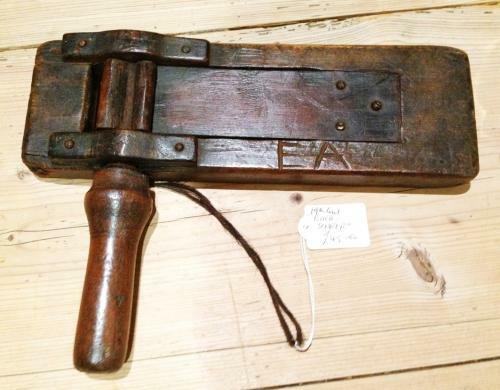 Good working condition with owner's initials EA carved into them. Possibly originally hand made. Bird scaring was a child's first introduction to farm life aged 12 or 13. In 1880 they were paid as little as a penny a day to walk the fields scaring the birds off the crops. Said to be the loneliest job on the farm.